Since 1876, this family brewery has done its utmost to create the most delicious beers. After six generations, there is still a youthful determination and family spirit present in the brewery. There are about 40 collaborators and it mainly works on the export market which accounts for 75% of overall production, in more than 50 countries. 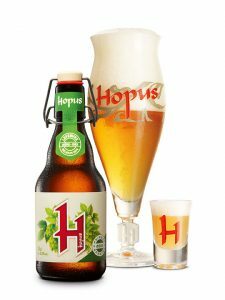 For the seventh year in a row, the Lefebvre brewery celebrates its hop, know-how and expertise of its employees by offering a new dry-hopping version of the traditional Hopus.